Thank you for the e-mail yesterday congratulating me on 5 million blog hits. I still just can't even believe it! 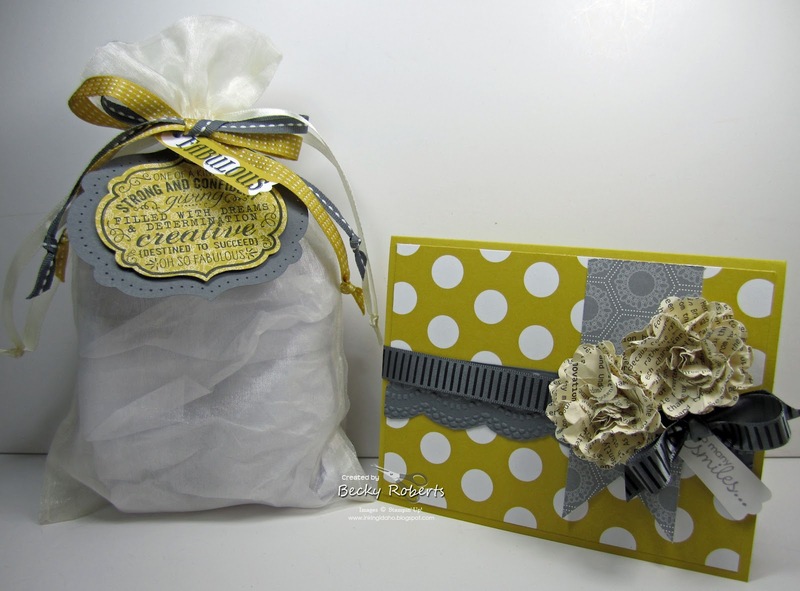 Here is a little Summer Starfruit gift and card I gave to Lorri Heiling for earning her first Founder's Circle trip. I love the 'I Am' stamp set we received at convention and thought it was perfect for the strengths and creativity she possesses. Plus she loves yellow so it was a great opportunity to use the new Summer Starfruit In Color. 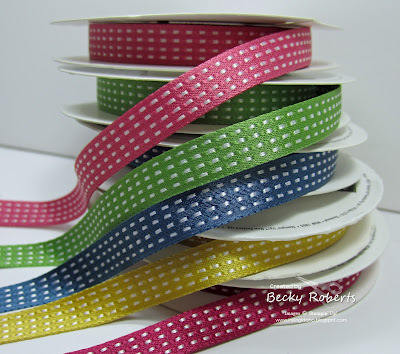 It's Back To Spool time at Stampin' Up! Get a FREE 10 yd. spool of 3/8" Stitched Satin Ribbon, an $8.95 value, with every $40 purchase—choose your favorite new In Color or earn all five! Plus you will get my Monster's & Ghouls tutorial free! Hello Becky! I'm Lorri Heiling's downline, Angie Heuser! I just wanted to introduce myself! I love the gift you made for her! Congrats on getting Founder's Circle!! !